Here’s the deal. If you have volunteered, done fundraising, been a client at, or in some other fashion encountered a cancer organization, you can post reviews and stories on GreatNonprofits.org. The nonprofits that get the most positive reviews during July will win the contest. Which means tons of kudos and exposure for them. In case that is not enough, individuals who post reviews of the winners will be eligible to win great prizes such as a free autographed copy of my book “Everything Changes: The Insider’s Guide to Cancer in Your 20s and 30s,” Organic Valley Milk for a year, spa packages from Osmosis Day Spa and Kabuki Springs and Spa, baked goods from Dancing Deer Baking Co., and more. I think this is an excellent idea, because it not only helps your favorite organization gain praise, but it helps them get feedback about what they are doing right, wrong, and what they could do differently. I think it is super fun to brainstorm some of the questions the site asks – such as if this organization had 10 million bucks, what do you think they should do with it? 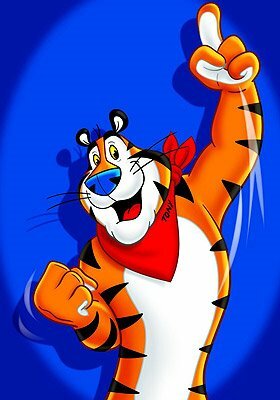 Log on to Greatnonprofits.org cancer campaign and let them know! I’m curious to know too– what is your favorite cancer non-profit and if they had 10 million smakeroos what would you want them to do with it? 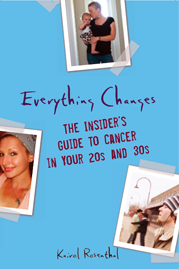 Check out my book Everything Changes: The Insider’s Guide to Cancer in Your 20s and 30s for my fav-o-fav young adult cancer organizations. I tried to enter the contest with WCRC but I had already written a review about WCRC, so I was not permitted to enter the contest. I think the contest is a great idea. Your blog and website should be able to participate too because you speak for young adults with cancer and most people think of cancer as a disease of age. I knew a little boy who was 2 years old when he died of cancer and that was very sad. I have seen my mother die from cancer. I do know cancer survivors, thank god or my life would probably be very difficult and hard to deal with. Even though I don’t talk to WCRC’s clients on phones, I do see them at yoga classes and other events and have gotten to know some personally which brings my life great joy and meaning and I am glad of that. Yet I have met people who have died there too, and have felt a piece of my heart be ripped apart some more and when volunteering at a cancer center there is as much life as there is death unfortunately there is no 2 ways around it. I’d love everyone who has cancer to live and never die before there time yet that is not always possible. Hope this comment isn’t too much of a downer, Kairol. Anita, You are not a downer at all. I found your comment very heartfelt and now know why you are such a fan of WCRC. I too think they are amazing. They helped me in so many ways during cancer. Any woman living in the Bay Area with cancer needs to look them up! A huge part of why the 5 year survival for kids is over 80% is because of the “OG” (NCI Oncology Group). I think it’s almost 40% of kids get enrolled in clinical trials. There would be no clinical trials for kids if NCI didn’t fund them. No trials no improvement. Drug companies can’t because you need large populations to make studying a new drug cost effective. Young adult cancer needs it’s own OG. 70K is too small an amount when separated into different cancers and staging for effective trials without OG support. Over the years, pooled data from the cooperative group trials favored new treatments for patient outcomes. Investigational treatments in the trials reduced the risk of death from any cause by 5% compared with established therapy. New cancer treatments reduced the composite risk of relapse, progression, or death by 10% and increased response rate 11%. If we want to change the fact that YAC’s haven’t seen an increase in survivability in the last 30 years from targeted clinical trials, then I think a Young Adult NCI sponsored Cooperative Group is the way to go. It doesn’t change the other issues but it’s time to advocate that YAC”s should benefit from improved protocols through clinical trials just like kids and those over 40. Agreed Luke. I have heard that ped participation in clinical trials is up to 60% now. Pretty great compared to younger and older adults with a mere 1-3%. I recently spoke with a pediatric oncology clinical trial coordinator at a university hospital here in Chicago. She said that very little of the funding for pediatric research actually comes from the NCI, and that ped research is so successful because children’s hospitals have such huge endowments that they usually pick up the tab. Plus organizations like St. Baldricks raise tons of money. What is your take on this break down?